Apologies for the long hiatus. I’m back to continue on the posts from my March journey to China. Quick recap: We went to Hangzhou, a popular tourist city 45 minutes away from Shanghai by bullet train. We checked out Zhongshan Park by West Lake and had dinner at the famous Lou Wai Lou. 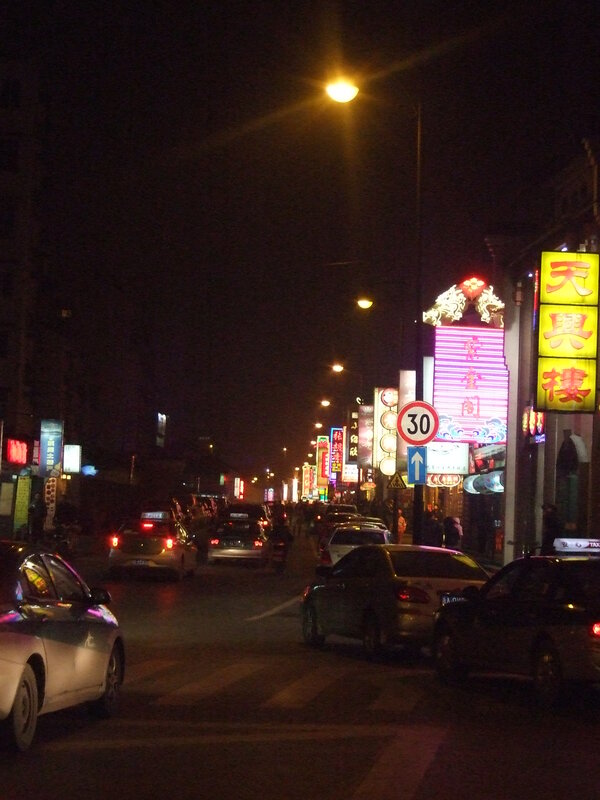 Anyway, the night was still young and we decided to take a cab to check out Zhongshan Road, otherwise known as the ‘Imperial Street of Southern Song Dynasty’. According to the guide book, it is 5.3km in length and 13 metres wide, which is basically the same dimensions the street had back in the Southern Song Dynasty. 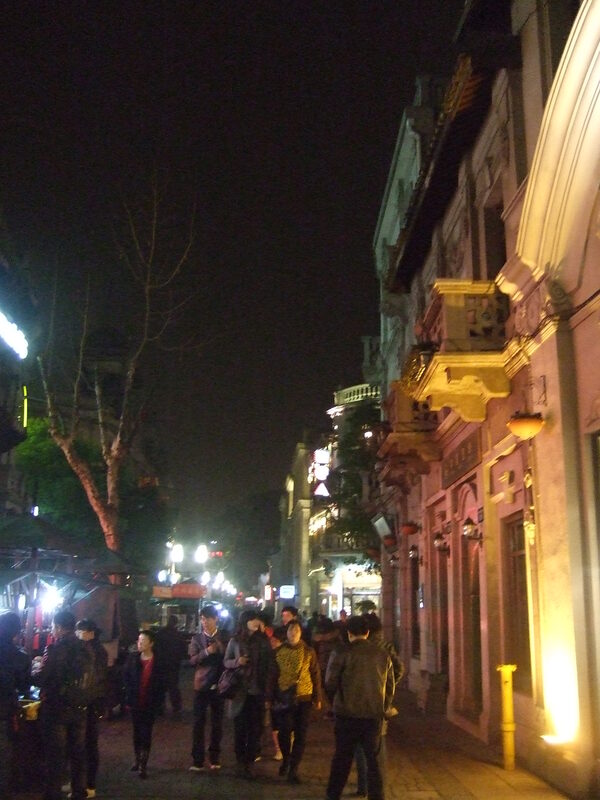 This is the parallel street where we got off the cab - see all the restaurants lined up on the right? This is a great place to go if you want to check out the local nightlife. On the parallel and perpendiular streets there are plenty of local restaurants with traditional Hangzhou cuisine, except significantly cheaper than the more touristy places like Lou Wai Lou. We tried some local pan fried bread, which is enormous when made but cut up into more manageable wedges. Delicious.